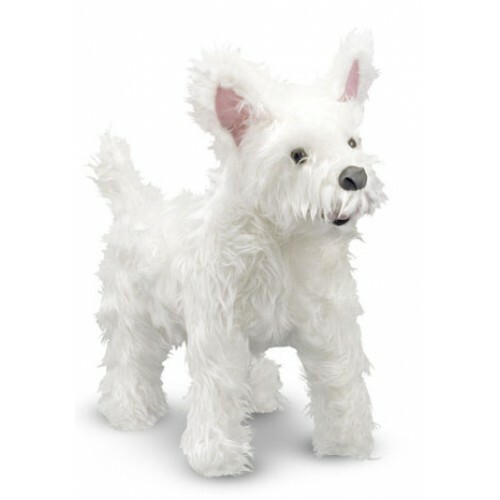 Soft and furry, a West Highland Terrier (Westie) It is just the right size to nestle in your lap or tuck under your arm for snuggling. Our adorable Melissa & Doug plush dogs are truly a kid's best friend. Excellent quality construction and bright, friendly eyes ensure that this pup will be a longtime companion.